TOKYO, July 5 (Reuters) - Japan's Fukushima nuclear crisis was a preventable disaster resulting from "collusion" among the government, regulators and the plant operator, an expert panel said on Thursday, wrapping up an inquiry into the worst nuclear accident in 25 years. 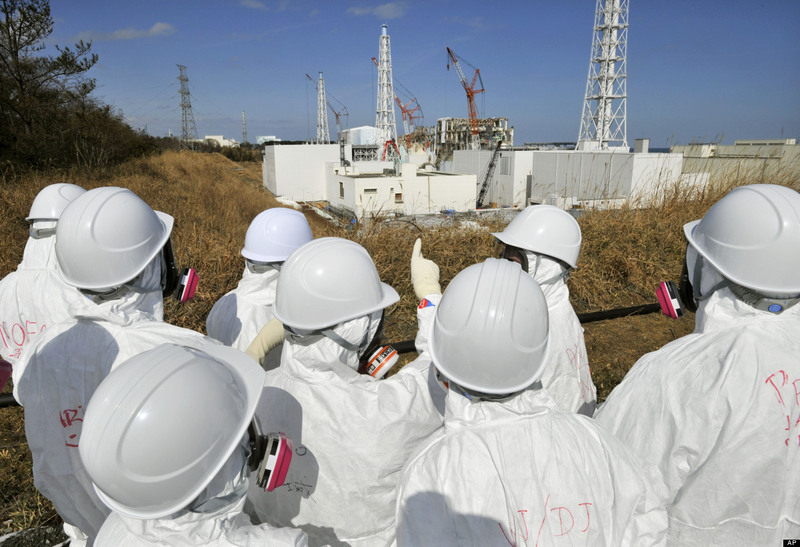 Damage from the huge March 11, 2011, earthquake, and not just the ensuing tsunami, could not be ruled out as a cause of the accident, the panel added, a finding with serious potential implications as Japan seeks to bring idled reactors on line. The panel criticised the response of Fukushima Daiichi plant operator Tokyo Electric Power Co, regulators and then Prime Minister Naoto Kan, who quit last year after criticism of his handling of a natural disaster that became a man-made crisis. "The ... Fukushima Nuclear Power Plant accident was the result of collusion between the government, the regulators and Tepco, and the lack of governance by said parties," the panel said in an English summary of a 641-page Japanese document. The report - issued hours after a reactor began supplying electricity to the grid for the first time in two months - put an official imprimatur on criticism of the cosy ties that have bound a powerful nexus of interests known as the "nuclear village". Regulators, it said, had been reluctant to adopt global safety standards that could have helped prevent the disaster in which reactors melted down, spewing radiation and forcing about 150,000 people from their homes, many of whom will never return. "Across the board, the Commission found ignorance and arrogance unforgivable for anyone or any organisation that deals with nuclear power. We found a disregard for global trends and a disregard for public safety," the panel said. The panel's finding that seismic damage may well have played a role could affect the restart of reactors that were taken offline, mostly for maintenance and safety checks, in the months since Fukushima. Japan is one of the world's most quake-prone countries. "We have proved that it cannot be said that there would have been no crisis without the tsunami," Katsuhiko Ishibashi, a seismologist and panel member, said in the report. The panel urged strict checks on all reactors against guidelines set in 2006, and said Japan's 21 oldest reactors, whose construction was approved before guidelines were set in 1981, may be at similar risk from a big quake as Fukushima Daiichi. Experts have said that an active fault may lie under Kansai Electric Power Co's Ohi plant in western Japan, whose No. 3 unit began supplying electricity to the grid early on Thursday. Ohi's No. 4 unit will come on line later this month after the government approved the restarts to avoid a power shortage. "This means that all of Japan's reactors are vulnerable and require retro-fitting, calling into question the hasty decision of the (Prime Minister Yoshihiko) Noda cabinet to restart reactors before getting the lessons of Fukushima," said Jeffrey Kingston, Asia studies director at Temple University in Tokyo. The report by the experts - one of three panels looking into the Fukushima disaster - follows a six-month investigation involving more than 900 hours of hearings and interviews with more than 1,100 people, the first such inquiry of its kind. Many of the shocking details of the disaster, including operator Tokyo Electric Power Co's (Tepco) failure to prepare for a big tsunami and the chaotic response by the utility and government, have already been made public. In an effort to repair tattered public trust in the regulatory regime, the government will in a few months set up a more independent nuclear watchdog that will then draft new safety rules. Resource-poor Japan has for decades promoted nuclear power as safe, cheap and clean. Atomic energy supplied nearly 30 percent of electricity needs before the disaster. "As a result of inadequate oversight, the SA (Severe Accident) countermeasures implemented in Japan were practically ineffective compared to the countermeasures in place abroad, and actions were significantly delayed as a result," it said. Tepco came under heavy criticism in the report, partly for putting cost-cutting steps ahead of safety as nuclear power became less profitable over the years. "While giving lip service to a policy of 'safety first', in actuality, safety suffered at the expense of other management priorities," the team said. In a report on its internal investigation issued last month, Tepco denied responsibility, saying the big "unforeseen" tsunami was to blame - though it admitted that in hindsight it was insufficiently prepared. Tepco, struggling under huge costs for compensation, cleanup and decommissioning, was effectively nationalised last month with a 1 trillion yen ($12.53 billion) injection of public funds. The panel also said it had found no evidence to back up Kan's allegation that Tepco had planned to abandon the tsunami-ravaged plant as the crisis risked spinning out of control. But fans of Kan, a former civic activist who angered the powerful nuclear industry when he became a harsh critic of atomic power after the disaster, questioned that finding.